The Nelson Family Foundation was founded in 1997 as a supporting organization of the Omaha Community Foundation. Since that time, over $2.5 million in charitable support has been granted to over 80 educational, environmental, human services, arts, and health organizations. Additionally, more than a quarter of a million dollars has been awarded since 2008 to outstanding teachers and counselors from the Council Bluffs and Lewis Central School Districts through the Excellence in Teaching Award. The Nelson family’s commitment to giving back can be traced to H. H. “Red” and Ruth H. Nelson. They played a considerable role in their family’s and community’s life. 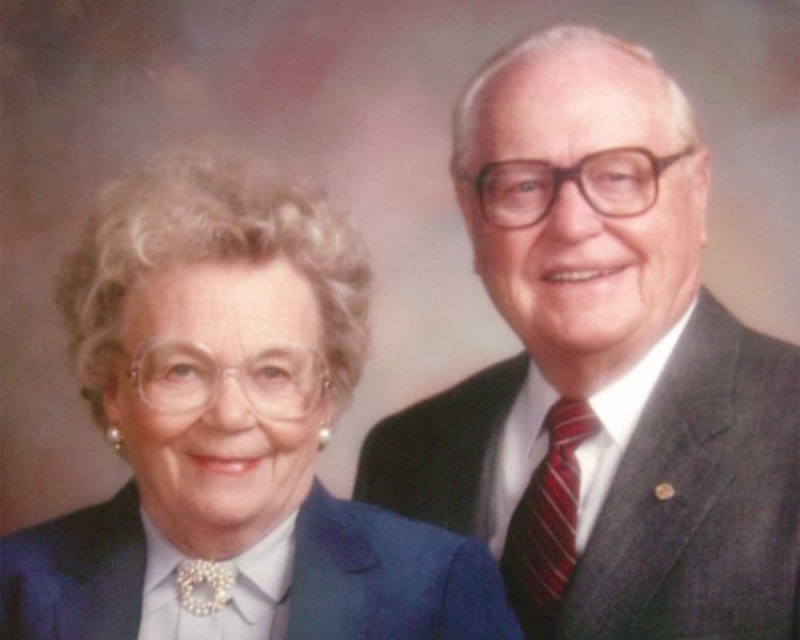 In 1945, Red and Ruth started an insurance agency, which is now SilverStone Group. They spent a lifetime helping those in need, especially children. Red and Ruth were always very humble and never wanted or sought recognition for their many charitable works. They were loving, generous parents and grandparents and had the welfare, nurturing, and education of young people always in their hearts. Today, the Nelson Family Foundation’s efforts are led by Anne and John P. Nelson. The Foundation continues to support numerous organizations and projects in the Omaha-Council Bluffs metropolitan area, as well as causes outside the region in which the Nelson family has personal involvement. In 2008, the Nelson Family Foundation established the Excellence in Teaching Award. This award honors outstanding teachers or counselors from the Council Bluffs and Lewis Central School Districts. Award recipients are chosen based on their knowledge, skills, and abilities both inside and outside the classroom, benefiting young people, as well as the community. Nominations for 2019 are now closed. 2019 winners will be announced in The Daily Nonpareil following the banquet on April 25th. Local organizations whose community investments are united with us. Many are family foundations, solely committed to furthering the mission of Omaha Community Foundation.